One of the way to secure profit is a take during price search. This robot is designed to take the profit during a price search using ATR indicators. As my research was found that when price jump mostly it will stop at some level. The ATR will start to decline. At this point can use for a good take profit. 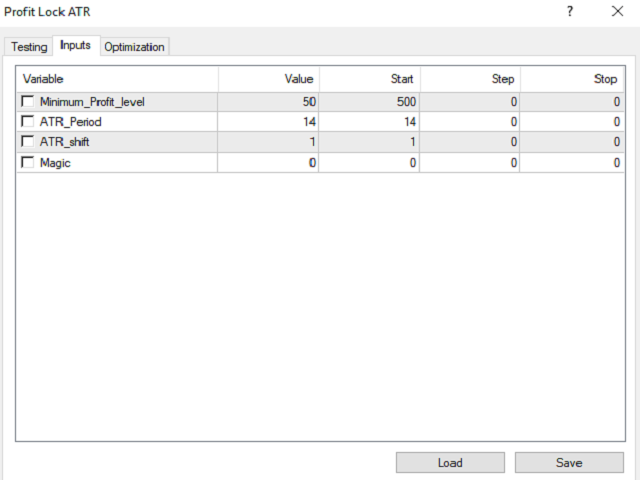 This robot would need the minimum value of profit to set as well as the ATR parameter set. It will get out with minimum profit when market meet the requirement.